A big thanks to all the players and supporters during 2015. And a HUGE thanks to all our volunteer coaches, committee and others that chip in to get the young and not so young ladies onto the courts. Many hands make light work and we have seen an enormous influx of helpers in 2015. 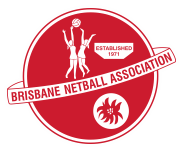 We also thank Brisbane Netball who also do their best to ensure we have a good show to put on. As we lead into International Women’s Day today, we also Celebrate Netball – the largest team sport in Australia, which, as you know is a predominantly female sport. The cornerstone of this great netball club and the sport are the many great and strong women, particularly our coaches (perhaps mum), our club leaders, and our open teams. The foundation and backbone of Kedron include names like Faye Davis, Charmaine Smith, Michelle Rutter, Deb Forster, Nicole White, Karen Moxly, Niki McLarnon, Heather Pomeroy, and Michelle Bates. All amazing women. The future of the club looks bright as we are also seeing young leaders like Brianna McCarthy and Jenn Skinner making great contributions. Their values are what drives us to be the best in Brisbane and are an inspiration for the young women of the club. If you weren’t able to come along to the awards, either someone has picked your award up for you, or we have it in the Lion’s Den…the big red trailer.